by Dr. Nancy C Andreasen, M.D., PH.D.
New. 1585622729 Ships promptly from Texas. Poor. [ No Hassle 30 Day Returns ][ Underlining/Highlighting: SOME ] [ Writing: SOME ] [ Broken Seams: YES ] [ Edition: fourth ] Publisher: American Psychiatric Publishing Pub Date: 6/1/2006 Binding: Paperback Pages: 688. Fair. [ No Hassle 30 Day Returns ][ Underlining/Highlighting: SOME ] [ Edition: Third ] Publisher: American Psychiatric Publishing Pub Date: 6/15/2001 Binding: Paperback Pages: 912. 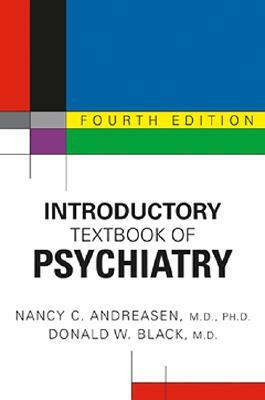 Books by Dr. Nancy C Andreasen, M.D., PH.D.
by David A Tomb, M.D. An elementary textbook of psychoanalysis.